How can you experience a more meaningful Lent? Find out what book Dan Burke recommends for transforming yours into a Lent like no other! What should we pray for? In what order? Find out in today’s excerpt and reflection from Finding God Through Meditation. What’s the best way to offer ourselves to God? How is it done? Why is it important? Find out in today’s excerpt and reflection from Finding God Through Meditation. What role does giving thanks play in meditation? How does it work? How should we approach it? Find out in today’s excerpt and reflection from Finding God Through Meditation. Why does Saint Peter of Alcántara say there can be pain in meditation? How can one avoid this? Find out in this excerpt from his book “Finding God Through Meditation” edited by Dan Burke. 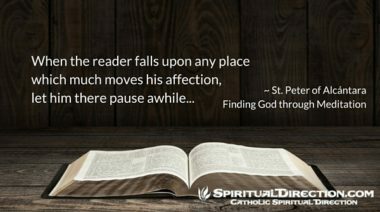 What does Peter of Alcántara say about distraction & reading in meditation? Find out in today’s excerpt & reflection from Finding God Through Meditation. 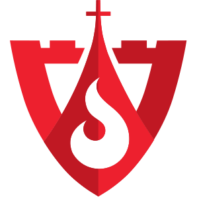 What does Peter of Alcántara have to say about preparing to pray? Find out in today’s excerpt and reflection from Finding God Through Meditation.